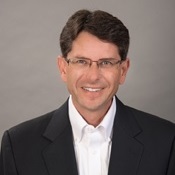 Rick was born in 1965 and graduated from California State University Northridge in 1989, with a Bachelor of Science degree in Business with an emphasis in Finance. Rick has been an investment adviser representative of Professional Planning since April 2016 and a registered representative of Mutual Securities Inc. since April 2016. From May 2007 to April 2016, Rick was a registered representative of Royal Alliance Associates, Inc. and from June 2004 to November 2015, he was the President of Winters Financial Group, Inc.
Rick also has his life, disability and long term care insurance licenses through the California Department of Insurance. My mission is to provide you with customized solutions designed to help you grow and conserve your wealth. My approach can best be described as committed, I am deeply dedicated to your success and take the extra time required to truly understand your unique needs. Together we develop an individual plan that breaks down, in simple terms, the options that allow you to move forward with confidence. Planning needs constant attention and communication is paramount. Your plan is developed then monitored throughout the year with personal contact to assure you stay on course. Personally, I serve as a board member of the Executives Association of San Fernando Valley and volunteer with Casa Pacifica. Previously I coached soccer for AYSO and Westlake Baseball and volunteered at the Los Angeles Mission.